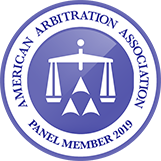 When I first started litigating over twenty years ago it was common for the mediator to start a mediation in joint session with all parties and counsel meeting together in the same room. The attorneys would give opening statements highlighting the strengths of their respective claims or defenses. In more recent times, many mediators have abandoned the joint session electing instead to meet separately in caucus with each of the parties and their respective counsel. In the caucus form of mediation, the mediator acts as a true go-between shuttling between conference rooms communicating each side’s arguments, offers and counter-offers. Now that I am a full-time mediator, I am often asked whether I prefer meeting with the parties and counsel together in joint session or separately in caucus. The answer is that it depends. I recognize that meeting separately with the parties and counsel aids in building trust and in truly understanding each party’s respective positions. That does not mean that a joint session is never appropriate. It really depends on the dynamics of that mediation. Recently, I conducted a mediation involving the sale of a property that incurred severe water damage following the sale. The parties disagreed on most everything including issues of disclosure, liability and damages. Notwithstanding the parties’ differing position on these issues, the seller was sympathetic to what had happened to the buyer following the sale of the property. I decided to have the parties meet in joint session so that the seller could express his sympathy to the buyer. That joint session went a long way towards helping the parties reach settlement. They stopped looking at each other as adversaries and instead began to focus on ways to resolve the dispute. So, should a joint session take place in every mediation? Probably not in every mediation. Deciding on whether to convene a joint session should depend on the parties, the issues in dispute and, most importantly, what works best at that moment in time to help the parties focus on settlement. Los Angeles Real Estate/Financial Services Mediation: Does the Settlement Agreement have to be Executed at the Mediation? Los Angeles Real Estate Mediation - Does the Law Matter?